For several years now we have hosted an organic church movements conference in the So CA area. They’ve been good, but something has always bothered me about them. They tend to draw people we are not aiming for and do not draw the people we were intending. The conference was meant to be a gathering of our folks, those who are practitioners on the field doing organic church. Our Greenhouse and frontline disciplemaking are meant to be the front door to the movement, not the annual conference. The conference was meant to be a time of connecting people from all over that are at work in the fields to learn from one another and encourage each other in the difficult work we have all been thrust into. Last year, we held a meeting to relentlessly scrutinize our conference and other stuff we do. This is our habit, nothing is sacred and everything can be improved upon. We asked ourselves if we are missing what God wants in our conference. Perhaps we need to do a big front door conference to introduce people to the missional movement. The other possibility is that our medium isn’t connecting with our message. We decided to launch a big missional church conference in late January or early February and just surrender to the direction our conferences have been going. However our planning hit a snag and the conference was canceled, just as the Verge Conference was announced in Austin, which turned out to be all we hoped for and more. We also realized that we do not have the muscles to pull off such an event and that some of our friends and associates still working in "mega-church-world" have a better chance of doing that. So with Verge and the H2H Labor Day conference well in place, what are we to do with our annual conference. We realized that God wanted us to go back to our original intention, and to bring the medium closer to our message. That is why we are doing a more outdoor Woodstock-esque conference. 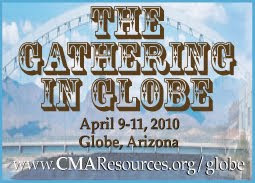 Matching our own culture the Globe Gathering will be family based, relational, grassroots and for our own organic church people that are in the fields. We will learn around campfires, on hikes and staying together in tent-city. Rather than a big conference in a classy hotel with big named speakers, name badges and workshops, it will be burning man with clothes on and a more obvious spiritual center, message and focus. This will be less agenda driven and more experiential and relational. More like a Rainbow Gathering of like-minded people who share a passion and a calling, it will be a call to people to come from all over the world on a spiritual pilgrimage. It will be Woodstock without the excess. It will be organic, movements, and a journey. You will leave with more and better friends rather than a notebook full of pages you will never look at again. Well, this is what we are hoping for. We are doing something that costs less and can pay off in far greater ways. We are taking a risk. We don’t know if this will work or not, but we have never been risk-averse, so why not try?